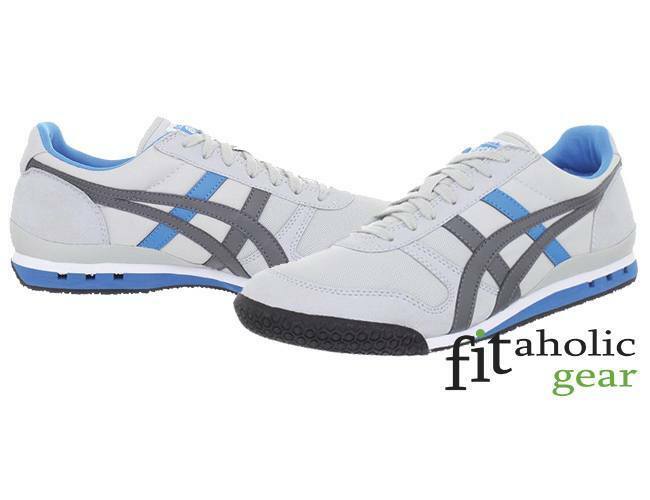 These sneakers are a new take at the classic running Onitsuka shoes from the 1980’s made by ASICS. The comeback modern version stays true to the classic runners. Their vintage look is great and they still are among the top good looking running shoes around – with their sleek and low profile design. The construction of these shoes is great. They are extremely lightweight, which makes them perfect parkour gym shoes. Although they are light and give a better tactile connectivity to the ground, they do have sufficient cushioning and offer great arch support. The EVA midsole features flex channels in the heel area for improved flexibility. These classic sneakers have a padded tongue and collar and provide a nice snug fit, but not constricting. They have sufficient toe space to keep the toes from squishing and letting them spread for improved balance and stability during Parkour jumps and moves. These shoes are especially suitable for people with high arches, but not so appropriate for overpronators, because of the narrowing shape of the sole between the toes and heels. The outsoles offer an excellent grip on dry surfaces. In the rain, these shoes could cause some slipping which could be dangerous for parkour, so it is not recommended to parkour in wet conditions with these shoes.They are especially great for training wallruns, and not so great for precision landings because of the relatively narrow arches, which is not great for overpronators. Overall, the Tigers always have been and still are great looking and great parkour training shoes. Made of high-quality materials, they will endure serious training and exercise. They provide great grip, lightness, durability and flexibility which are all important features for efficient and safe practicing. Overall, these sneakers are definitely great whether you want them for parkour or just for their classic retro looks – you shouldn’t hesitate to buy a pair for yourself.